If you use social media marketing, or really any other online channels to promote and market your business, then you don’t want to miss out on these tips and tricks. It doesn’t matter what social media channels you use, whether it’s Linkedin, or YouTube, or Facebook, Twitter, or Instagram, or even the type of content you share, videos, photos, text, or links, all of these tips can apply to you. Let’s get stuck in, shall we? Now, tip number one, the question I pose to you is: what do you do? If your ideal clients don’t know about you, don’t know about your business, don’t know how you can help them, then it’s up to you to educate them. How would this work in a real world sense? Let me talk through a couple of examples with you. If you think about a plumber, you think, “Ah, a tradie comes around, changes the taps, fixes a few things,” but also plumbers can do so much more than that, so if you’re a plumber or you’re some sort of tradie out there, and you want to let people know that you do way more than what people assume that you do, think about producing some content around that, so whether it’s an instructional video, whether it’s a blog post, or even a Facebook Live, thinking about some content that could actually educate your target market will help them understand how you can help them. Another example is if you’re thinking about an accountant. It’s almost tax time, so whenever it’s tax time, we think about going to an account. Accountants for business owners are actually so much more than tax or BAS agents, they really can be a trusted business advisor. They can give you advice on cashflow, on hiring, on using money to grow your business, how to invest wisely. There’s a whole bunch of things that accountants can do to help you and your business. In terms of the how, that’s what clients are going to pay you for. This type of content also helps break down stereotypes, or pre-conceived ideas about your industry. Now that you know all about producing content about how you help people, the next step, tip number two: FAQs. For those out there who don’t know what FAQs stand for, it is simply Frequently Asked Questions. For me personally, this is the richest source of content that I actually have in my business. I produce blogs, this podcast episode for example, comes out of people asking me a whole bunch of questions about all sorts of things within the social media world that helps me then understand, “Well, this is actually what people want to know, so I’ll produce some content around it.” That way you know there’s actually a need for it. What are the most asked questions that you get from your clients, your prospects, and your community? The first step is to go through, and any questions that you’ve received, write them down on a piece of paper. If the same question starts to pop up again, and again, and again, you know that that is a perfect topic to produce some content on, and share it back out into your community. If you haven’t got those questions, or you can’t find anything to hand, there’s a couple of things that you could actually do to source what those questions might be. The first thing is to survey your existing clients. Send them a quick couple of questions and say, “Is there anything that you want to know about what we do?” You’ll actually get some really interesting responses back, and because your clients know you, like you, and trust you already, they I’m sure would be more than willing to help you in growing your business. The other thing that you can do as well is a quick poll on your social media channels, so whether it’s popping up a quick tweet, or doing a Facebook poll, just go out to your community and ask them, “Well, what do you want to know? If I was to write a blog post on any topic within my space, what is it that you want me to write about and educate you on?” You’ll be amazed at the responses that you get. What you have to make sure that you do though, is actually produce the content, and pop it back out to the community, and let them know that you’re actually genuinely listening to them. In terms of the types of content that you can produce, it could be something like a podcast, like the one that I’ve produced here for you. It could be an instructional video, it could be a blog post, or if you’re really brave, it could be a Facebook Live, and those are actually quite fun to do as well. There’s lots of tools that you can use out there to help you do those things. Now, onto tip number three: is there any news that happens in your industry that would be of interest to your community? The first two tips were around creating your own content. This tip is around finding content from other sources, and sharing it with your fans on your Facebook page, or your Twitter followers, et cetera. A perfect example, given it’s May, almost end of financial year, we’re thinking a lot about tax time. If you’re a business owner, making sure that you purchase those tax deductible expenses before June 30, so if you’re a bookkeeper or an accountant, what you could do is at this time of year, find some content either on the Australian Taxation Office website, on the ASIC website. There’s a bunch of websites out there that you can go and find some interesting articles, or checklists, or information. Even if you don’t want to produce the content yourself, you can actually go to external sources, find a link, and share it out with your community. Let them know, “This is what’s coming up. You may want to think about X, Y, and Z.” Now, in terms of end of financial year, I’ve actually produced a blog post on my website, and I’m happy to drop the link into the show notes here, and what that’s about is seven ways that you can actually use end of financial year to market your business. We don’t necessarily think about marketing our business at this time of year, but if you’re a business who services other businesses, this is ripe for that. Really, the aim of this particular tip is to be a one-stop-shop for content. What is it that you can provide of benefit and of value to your community with, so that they come to you for all of their information, not just the information that you produce and you create yourself? When it comes to sourcing that kind of content, there are three easy to use and relatively inexpensive tools that I use within my own business to find content to share with other people. The first of those is a Google Alert, so you go to Google, you search for say social media, and then a whole bunch of news comes up around that. What you can then do is select Create a Google Alert, and then every day in your inbox, an alert with all of the news around that topic comes into your inbox. A really easy way to get information sent to you, rather than you having to troll through the internet to find really good content to share. The second tool is Feedly, so F-E-E-D-L-Y. What that is, is dashboard where you put all of the websites that you follow into this particular app, and you can use it on your phone, on your desktop, on a tablet as well. It takes the content from all of those websites, aggregates them into one dashboard so you only have to go to one place to find all your content. That’s really cool. Now, in terms of trending content, there’s a tool that I use called BuzzSumo, B-U-Z-Z-S-U-M-O. If you’re someone who is happy to find content on the fly, and really get your name and your brand known in some of that trending content, BuzzSumo is the perfect tool for you. Tip number four is actually one of my favourites. It’s all around client case studies and testimonials. It’s great to tell people how awesome you are, and you should be doing that, but it’s even better when it comes from someone else. Now, I’m sure you all have clients who think that you’re amazing. They love your service, and you’ve impacted their life or their business in some really huge, or even small way, that is meaningful to them. Ideally, the way to structure a testimonial is to firstly get them to identify how their life or their business was before you started working with them, then what is it that you actually did to help them and their situation, and then lastly, what was the impact of that help? Structuring a testimonial in this way helps other people to understand, “I’m in that situation too. If I get that kind of help, that’s how things can turn out for me as well.” It’s about relatability, and it’s about identifying and getting prospective clients to look at themselves through the eyes of your existing clients. Usually with testimonials, you would get them in writing, and maybe if you can, attach a photo to that. In certain industries, there are limitations on being able to have and use testimonials, so make sure you go to your industry body first to see that you can actually use this particular tip. When using case studies, I actually find this particular element in content works well for tradies where there’s a clear visual before and after shot. If you are working on say a bathroom renovation, you take a photo of what the bathroom looked like before you did the work, and then take a photo of what the bathroom looks like once you’ve completed the work. People can actually see and understand. They don’t have to imagine what the impact was, so they can look at your before and after shots and really know, “Wow, that is amazing work. I need that too.” Any tradie clients that we have, that is something that we definitely employ, and I can tell you, the engagement on that kind of content is huge. Lastly, tip number five, what’s the story of you and your business? Now, I’ve got a little bit of a theory about why people use social media. 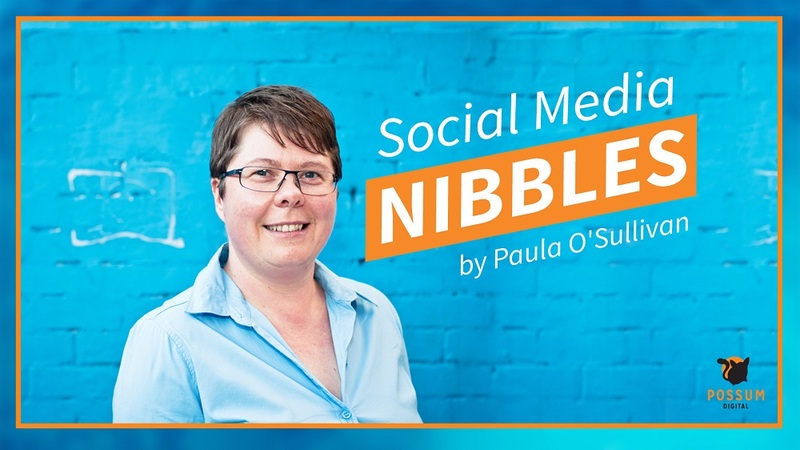 I reckon it’s because we like to indulge in a little bit of gossip, and what social media does is gives us a window into the lives of all sorts of people that we would never normally have access to, including all of you business owners out there. Really, what this tip is about, is we want to know the story of your business. We want to know why you’re in business, why you do what you do, what is it you love about doing that, how did you get started in your business? A lot of businesses that are quite successful started from humble beginnings, and having that story and that understanding about how they started and why they started can really help prospective clients identify the values of your business, and really identify with how you started and how you’ve grown, and if you’re so successful, that you must be good at what you do. Who is it that you’re working with? So maybe talking with referral partners, or suppliers, or clients, and seeing if they want to be featured on your social media. That kind of content always does well. Your staff. Who is it that your prospective clients are going to be dealing with? All of this is what I would call behind the scenes content. It gives a more human side to your business, it makes it more relatable, and it also helps encourage relationship building and attracting more people to your business. Now you know what kind of content you can develop for your online community, I’d love to see what you do. Feel free to jump over to our Facebook page at Possum Digital, and let us know what you do, and how it worked.